Don't miss out! Booth and sponsorship openings are limited! Contact us at sponsorship@usenix.org today to reserve your spot. For more information, you can download the LISA14 prospectus here. Visit the LISA14 Expo to learn the latest in technologies and solutions. Admission is free. The Expo will take place in the Metropolitan Ballroom, Sheraton Seattle Hotel. ACM Queue is a Web site that provides a critical perspective on current and emerging information technologies, highlighting the technical challenges and problems that software engineers are likely to encounter when using them. In doing so, Queue helps readers sharpen their own thinking and pursue innovative solutions in their own work. ACM Queue's core content includes in-depth articles and insightful columns written by accomplished software engineers, as well as interviews with legends (and future legends) in the field. Planet Queue, an aggregation of blogs by queue authors commenting on articles of interest to them in the ACM Digital Library collection, complements the site's core content. When Planet Queue bloggers critique articles from the digital library, the articles are unlocked, making the full text available to queue website users. The site also includes a growing archive of podcasts and video presentations that offer insights from leaders in the software engineering field. Amazon Web Services (AWS) provides businesses with a secure, reliable, low-cost, easy-to-scale, global IT infrastructure “in the cloud.” Hundreds of thousands of customers in 190 countries, rely on AWS for their infrastructure needs, from running existing enterprise applications to building new applications in the cloud. Learn more: http://aws.amazon.com. Amplidata provides software defined object based storage solutions that deliver cloud scale economics to meet the challenges associated with large scale storage environments. Amplidata's Himalaya software provides industry leading performance, 3 D elastic scalability, plug-n-play architecture and costs up to 70% less than standard storage options. Avere Hybrid Cloud ends the rising cost and complexity of data storage with the freedom to store files anywhere in the cloud or on premises without sacrificing the performance, availability or security of your data. Achieve unlimited performance scaling, eliminate latency and cut storage costs by more than 50%. Berkeley CommunicationsTM is a leading provider of innovative data storage and networking solutions. We are committed to delivering targeted solutions to meet the technology and business challenges of today's data-intensive enterprises. Founded by data storage experts, Berkeley Communications focuses on designing and implementing highly available, scalable, and secure storage and networking infrastructures to ensure business continuity. A gathering of professionals from the diverse IT (computer and network administration) community in the U.S. Pacific Northwest / British Columbia to learn, share ideas, and network. We go by many titles but everyone is invited: System administrators, network administrators, network engineers, Windows, Linux, Unix, DBAs, etc. The conference includes panels, presentations, invited speakers and keynotes, as well as training by top-notch experts. We expect attendance of 100-120 IT professionals from businesses and academic institutions from Washington, Oregon, Idaho and British Columbia. Please see http://casitconf.org/casitconf15/cfp/ for the Call for Proposals. The CentOS Project is a community-driven free software effort focused around the goal of providing a rich base platform for open source communities to build upon. We will provide a development framework for cloud providers, the hosting community, and scientific data processing, as a few examples. We work with several ‘upstream’ communities to help them layer and distribute their software more effectively on a platform they can rely on. 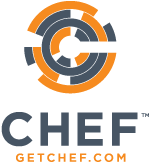 We are Chef – the leader in web-scale IT automation. We give you a model for automating IT infrastructure and applications that drive self-reliance across your development and operations teams. We are the Chef community. We are tens of thousands strong. Join our movement today. CIS is a leader in the development and distribution of consensus-based, internationally recognized best practices for assessing and improving cyber security. CIS secure configuration benchmarks and automated assessment tools are used by hundreds of organizations worldwide and are accepted for compliance with many industry standards, including FISMA, PCI, and HIPAA. Cloudera is redefining data management with its Platform for Big Data, empowering enterprises to gain rich, actionable insights from all their data to derive business value and competitive advantage. With hundreds of customers across diverse markets, Cloudera is the category leader that sets the standard for Hadoop in the enterprise. craigslist - a place to buy, sell, rent, hire, share, meet, swap, discuss, find, serve, connect, give away, announce, work, collect, care, perform, learn, marvel, mentor, befriend, fall in love, and/or save the world. CRC Press is a premier publisher of scientific, technical and medical resources, reaching around the globe to collect essential reference material and the latest advances and making them available to researchers, academics, professionals and students in a variety of accessible formats. CRC Press is a member of Taylor & Francis Group, an informa business. For more information, visit www.crcpress.com. Cylance is a global cyber security products and service company, specializing in advanced threat security that detects and stops zero-day malware and APT attacks. Using advanced math and machine learning, coupled with the understanding of a hacker’s mindset, Cylance provides a proactive, preventive approach to security. DevOps.com is where the world meets DevOps. It is the largest collection of original content relating to DevOps on the webs today. Featuring up to the minute news, feature stories, blogs, by lined articles and more, DevOps.com is where the thought leaders of the DevOps movement make their ideas known. EnterpriseTech is a professional resource for news and intelligence covering the migration of high-end technologies into the enterprise and business-IT industry. Delivering a powerful combination of world class journalism, expert commentary, and in-depth analysis, EnterpriseTech clearly defines how the forces driving the integration of advanced computing technologies are merging with the key elements used for enterprise infrastructures. Drawing from its high-tech solutions slant, a dedicated audience of over forty-six thousand Fortune 2000 readers worldwide source EnterpriseTech for solutions in new product development, workload management, increased efficiency, and to maximize their competitive edge. Excelerate Systems is a leading provider of IT services and solutions in Latin America, North America, Europe and the Caribbean. We work with enterprise level organizations in Big Data (Cloudera in particular), Cloud Services (Openstack and Amazon in particular), and Security and IT operations (Splunk in particular). We are a full service organization with fully certified consultants and engineers in the solutions we offer. The Fedora Project is a partnership of free software community members from around the globe. The Fedora Project builds open source software communities and produces a Linux distribution called "Fedora." FreeBSD is an advanced computer operating system used to power modern servers, desktops and embedded platforms. A large community has continually developed it for more than thirty years. Its advanced networking, security and storage features have made FreeBSD the platform of choice for many of the busiest websites and most pervasive embedded networking and storage devices. The FreeBSD Foundation is a 501(c)(3) non-profit organization dedicated to supporting the FreeBSD Project. 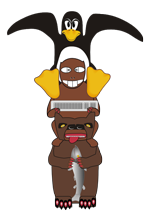 The Foundation gratefully accepts donations from individuals and businesses, using them to fund projects which further the development of the FreeBSD operating system. In addition, the Foundation can represent the FreeBSD Project in executing contracts, license agreements, and other legal arrangements which require a recognized legal entity. The FreeBSD Foundation is entirely supported by donations. GroundWork provides monitoring and analytics for your entire enterprise stack. It monitors everything physical or virtual in your cloud, hybrid, or on-premises environment. When performance and availability rely on having all of the right information, GroundWork delivers. HPCwire is the leader in world-class journalism for HPC. With a legacy dating back to 1986, HPCwire is recognized worldwide for its breakthrough coverage of the fastest computers in the world and the people who run them. For topics ranging from the latest trends and emerging technologies, to expert commentary, in-depth analysis, and original feature coverage, HPCwire delivers it all, as the industry’s leading news authority and most reliable and trusted resource. Visit HPCwire.com today! Internet Systems Consortium (ISC) is the non-profit 501(c)(3) corporation that maintains the open source DNS software BIND and ISC DHCP, distributed on isc.org and through most Linux and UNIX sources. ISC offers professional support, training and consulting services related to our open source products. ISC also operates the F-root nameserver and provides secondary DNS services. iXsystems is the all-around FreeBSD company that builds FreeBSD-certified servers and storage solutions, manages the FreeNAS Project, and is the corporate sponsor of the PC-BSD Project. iXsystems is an employee-owned and operated, open source-centric, customer focused organization, dedicated to providing the highest quality built-to-order enterprise rackmount server solutions, pre-configured server appliances, and scalable storage solutions to our customers around the globe. 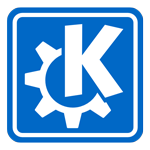 The KDE Community is an international technology team dedicated to creating a free and user-friendly computing experience, offering an advanced graphical desktop, a wide variety of applications, and a platform for building and maintaining applications. We find innovative solutions in a vibrant atmosphere open to experimentation. The Linux Foundation is a nonprofit consortium dedicated to fostering the growth of Linux and collaborative software development. Founded in 2000, the organization provides a neutral forum for collaboration and education by hosting Collaborative Projects, Linux conferences including LinuxCon, and generating original research and content that advances the understanding of Linux and collaborative software development. In Linux Pro Magazine, you'll find the tools, tutorials, reviews, and concrete technical discussions you'll need to unlock the secrets of Linux. Each issue comes with a full Linux distribution, such as Suse, Ubuntu, Fedora, Mandriva, or Debian, on a bonus DVD. Linux Pro provides real solutions for real Linux users. LinuxFest Northwest is a free and open community event--the original grassroots FOSSFest in Bellingham. It brings together fun, smart, open minds to learn, teach and share in an easy-going atmosphere. LFNW 2015; April 25 & 26. LXer Linux News is a fully independent news and opinion site, established in January 2004. People turn to LXer for its constantly updated 24/7 news feed and comments. Over 400,000 unique users from over 165 countries visit LXer Linux News each month, and LXer is syndicated by Google and dozens of other community sites. CIOs, CTOs, government officials, as well as programmers, system administrators and end users make up a very active community. Micron Technology, Inc., is a global leader in semiconductor systems. Micron's portfolio of memory technologies—including DRAM and Flash—is the basis for solid state drives, modules and other system solutions. With over 35 years of technology leadership, Micron's memory solutions enable the most innovative computing, storage, and networking applications. Nimble Storage thinks enterprises shouldn’t compromise on performance, capacity, ease of use, or price. So they developed the first storage architecture designed from the ground up to seamlessly integrate SSDs with high-capacity disks, all to give you unparalleled performance and capacity efficiency, easier backups and DR, and stress-free operations. No Starch Press is one of the few remaining independent computer book publishers. We publish the finest in geek entertainment—unique books on technology, with a focus on Open Source, security, hacking, programming, alternative operating systems, and LEGO. Our titles have personality, our authors are passionate, and our books tackle topics that people care about. Opengear is a leading provider of enterprise grade console servers, cellular routers and remote management solutions that enable our customers to easily tame IT complexity. Our commitment to simplify remote infrastructure management enables our products to deliver what IT professionals really need and want with unquestionable security and value. 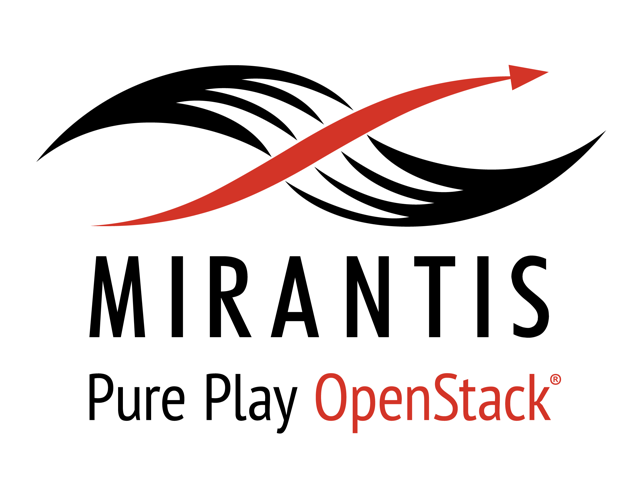 OpenStack is open source software for building public and private clouds. OpenStack powers some of the most widely-used SaaS and eCommerce sites, the world’s largest public clouds and Global 1000 enterprises alike; each relying on OpenStack to run their businesses. OpenStack is backed by an independent Foundation and global community. Palantir Technologies builds software platforms that help human experts perform powerful, collaborative analysis of data at scale. Palantir's software is deployed at public institutions, private enterprises, and in the non-profit sector to address the challenges of responsibly making sense of complex, diverse data. Founded in 1999, Pogo is an open-source systems integrator based in Redmond, WA. Offering a wide range of servers, workstations, and network storage solutions, Pogo helps organizations of all sizes solve their technological challenges. Founded in 1997, Pythian is a global data outsourcing and consulting company that specializes in optimizing and managing mission-critical data systems. Pythian blends the world’s leading data experts with advanced, secure service delivery processes to create the industry’s best standard of care for its clients. Learn more about Pythian and its elite data experts at http://www.pythian.com, follow @Pythian, and find Pythian on LinkedIn at http://linkd.in/pythian. Raspberry Pi Geek is the first commercial print magazine dedicated to Raspberry Pi and the open hardware revolution. Each issue offers special projects and expert advice on configuring, programming, and hardware hacking for the Raspberry Pi, with additional coverage of other open platforms such as BeagleBone and Arduino. ScaleArc is the leader in database traffic management software, enabling zero downtime for applications in a database environment. The ScaleArc software inserts transparently between the application and database, creating an agile data tier that immediately improves application availability and performance, with no changes to the application or database. SEP Software Corp. offers a single backup and disaster recovery solution for heterogeneous environments of any size. SEP's flagship solution, SEP sesam, uses its patented Multi-Streaming technology to facilitate unlimited simultaneous data streams to provide some of the highest performance in the backup market. SEP is cross-platform, multi-OS, and supports every popular database and Groupware solution available. Exceptional remote management capabilities allow users to easily and efficiently manage thousands of locations around the globe from one central location. SEP specializes in replacing multiple backup software products with one standardized solution for the entire enterprise. Shadow-Soft is a next-generation systems integrator committed to helping enterprise and government customers move beyond yesterday's solutions to standardized, open platforms that are optimized for physical, virtual, and cloud deployments. Unlike the other guys, Shadow-Soft fully embraces all that Open Source systems integration has to offer – total technology freedom, innovation and less cost. With offices in Atlanta and Washington DC, our industry-certified Linux, middleware, and cloud consultants free clients from costly, inflexible proprietary software while also providing the engineering expertise to implement complex hardware systems, including servers, storage and networking technologies. We're experts at migrating applications, modernizing and optimizing infrastructure, and enhancing manageability through orchestration and automation. To learn more, visit www.shadow-soft.com. 1. The way we do business—a consultative approach. 2. Comprehensive expertise and resources. 3. Our 3-year "Expert included" support guarantee. The Storage Networking Industry Association (SNIA) is a not–for–profit global organization of over 400 member companies spanning virtually the entire storage industry. SNIA’s mission is to lead the storage industry worldwide in developing and promoting standards, technologies, and educational services to empower organizations in the management of information. To this end, SNIA is uniquely committed to delivering standards, education, and services that will propel open storage networking solutions into the broader market. For additional information, visit www.snia.org. SolidFire is advancing the way the world uses the cloud by transforming global service provider and enterprise data centers from slioed to shared, scale-out/all-flash storage infrastructures that guarantee performance and are completely automated. System Backup Administrator (SBAdmin) for Linux, AIX and Solaris provides complete backup management and flexible system recovery, supporting various filesystem types, LVM and software RAID. Symantec, is the world-class leader in security, storage and system management solutions, and has evolved to become one of the largest and most cutting-edge security companies across the globe. We make the world a safer place by helping people, businesses, and governments protect, manage and secure their information in an insecure world. From securing a consumer’s online identity and interactions to protecting an organization’s mission-critical data, Symantec offers the leading and best-of-breed security, backup and recovery, data availability and data loss prevention products. Since its inception in 1982, Symantec has grown into a Fortune 500 company through a combination of internal development, strategic acquisition and partnering with industry leaders. At every step in the company’s growth we have expanded both our technological expertise and our understanding of customer needs. Our ability to successfully integrate internally developed products with technologies we acquire and build has kept Symantec at the front of its industry and enabled us to provide best-of-breed solutions for millions of corporate and individual customers in more than 55 countries. It is what has earned the company almost every major technology award and top-tier rankings from industry analysts. At ThinkGeek, we strive to create a world where everyone can celebrate their inner geek, express their passions, and connect with one another. We offers thousands of hand-picked gadgets, toys, and things right out of your imagination for geeks of all ages and fandoms. VMware, the global leader in virtualization and cloud infrastructure, delivers customer-proven solutions that significantly reduce IT complexity and enable more flexible, agile service delivery. Leveraging VMware vSphere™, the most widely deployed foundation for cloud computing, VMware accelerates the transition to a cloud computing approach while preserving existing investments and improving security and control. With VMware vCloud™ solutions and services, VMware enables private, public and hybrid cloud deployment models that ensure application mobility and portability. With more than 250,000 customers and 25,000 partners, VMware helps organizations of all sizes lower costs, preserve freedom of choice and energize business through IT while saving energy—financial, human and the Earth's. Zimbra connects people and information with unified collaboration software that includes email, calendaring, file sharing, activity streams, social communities and more. With technology designed for social, mobile and the cloud, Zimbra gives individuals the flexibility to work from virtually anywhere, through nearly every computer, tablet and mobile device. Zimbra is trusted by more than 5,000 companies, service providers and government agencies including global brands such as NTT Communications, Comcast, Dell, Investec, Rackspace, Red Hat, Mozilla, VMware, H&R Block and Vodafone. With its vibrant open source community and worldwide partner network, Zimbra is the third largest collaboration provider in the world. Zimbra is privately held with corporate headquarters in Frisco, Texas and offices in San Mateo, California; London; Tokyo; Singapore and Pune, India. For more information, visit Zimbra.com or connect with us on Twitter, Facebook and LinkedIn.